The world is a sadder place today. "One of the most beloved and unforgettable performers in the history of show business, Robin Williams brought laughter and inspiration to millions. Throughout a career that spanned five decades, Williams evolved from stand up comedian to international movie star. Among the great masters of improv, he transfixed audiences with a mile-a-minute comic energy. Williams' Golden Globe-winning turn in Good Morning, Vietnam demonstrated that his versatile acting talents were equally suited to evoking dramatic complexity. 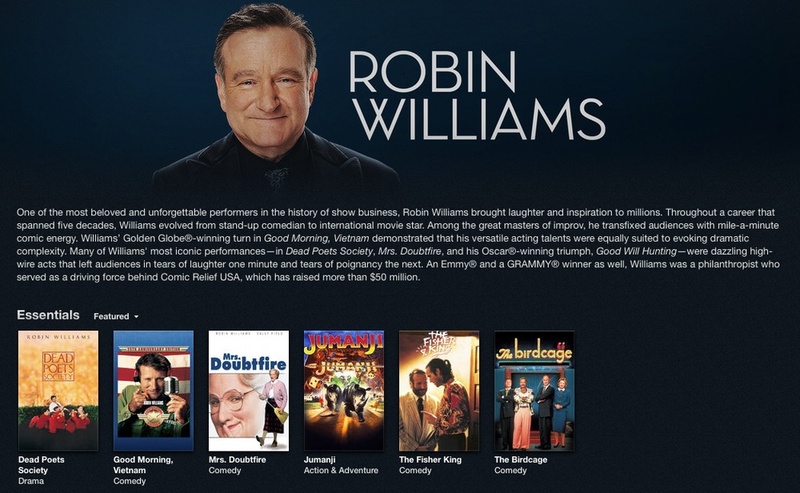 Many of Williams' most iconic performances--in Dead Poets Society, Mrs. Doubtfire, and his Oscar-winning triumph Good Will Hunting--were dazzling high-wire acts that left audiences in tears of laughter one minute and tears of poignancy the next." The second trailer has arrived for Independence Day: Resurgence and it looks good! The movie takes place 20 years after the first and includes most of the original cast and some awesome new additions including Liam Hemsworth. The Love Actually sequel aired in the UK today to raise money for Comic Relief.